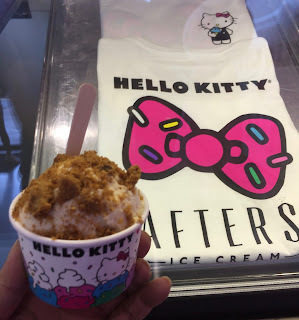 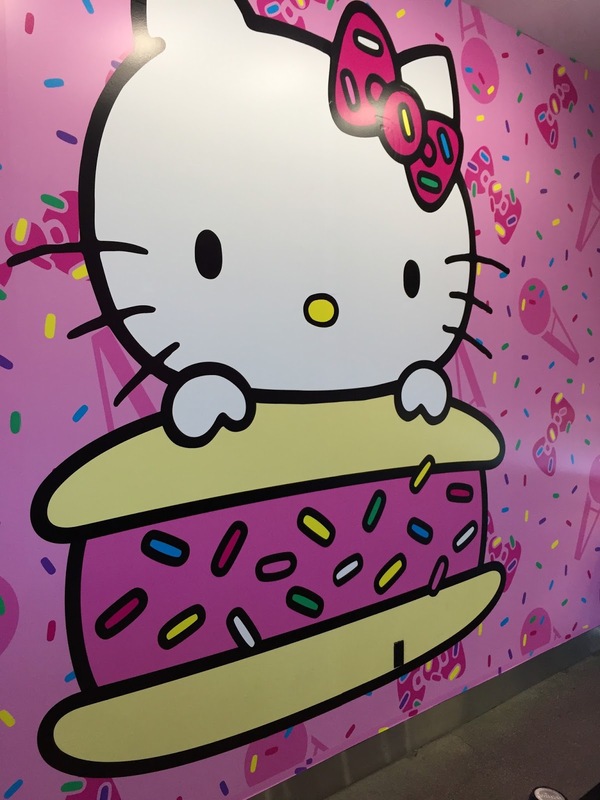 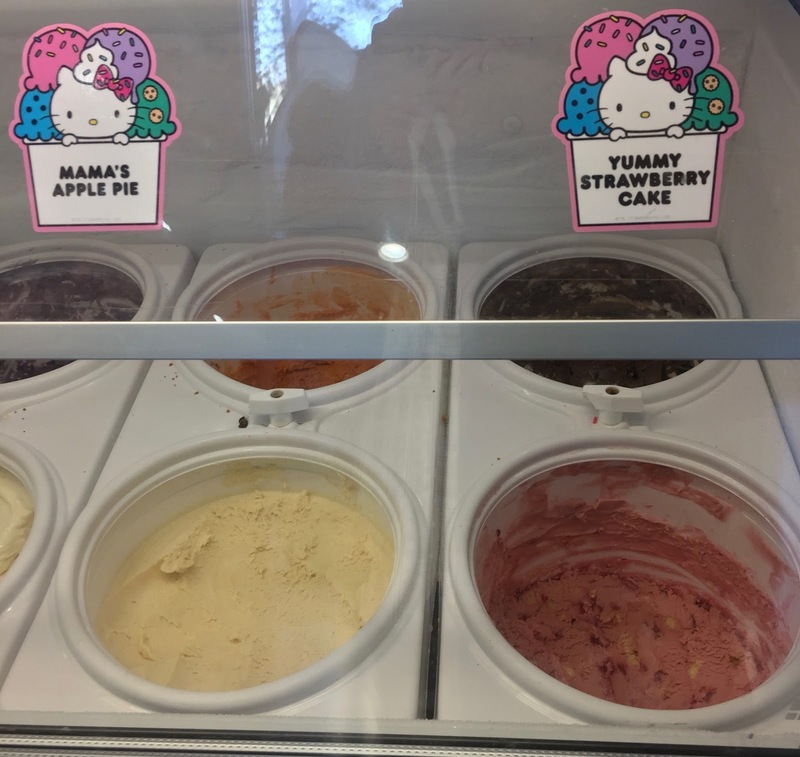 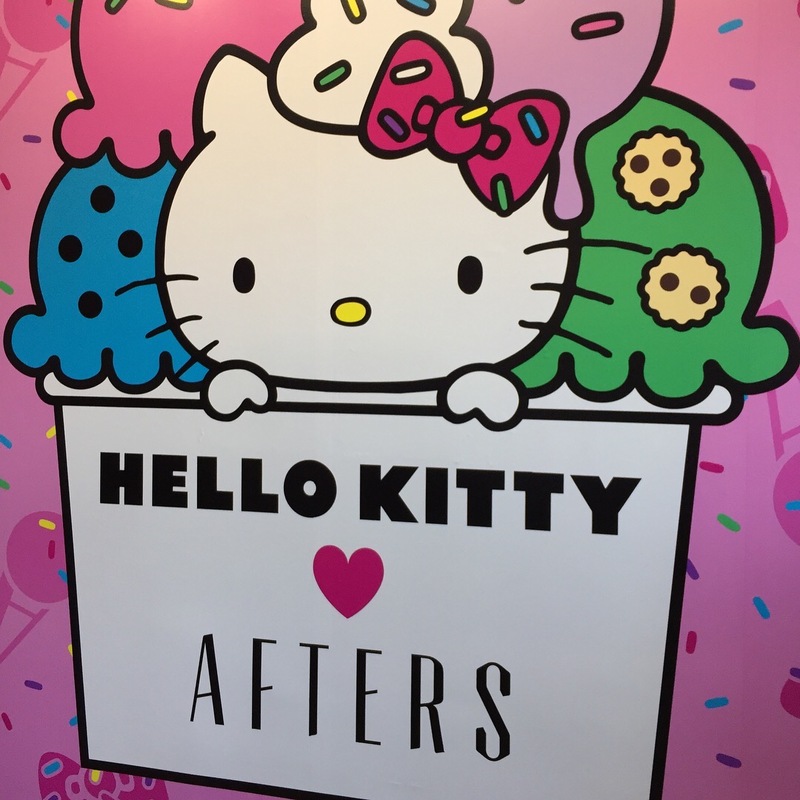 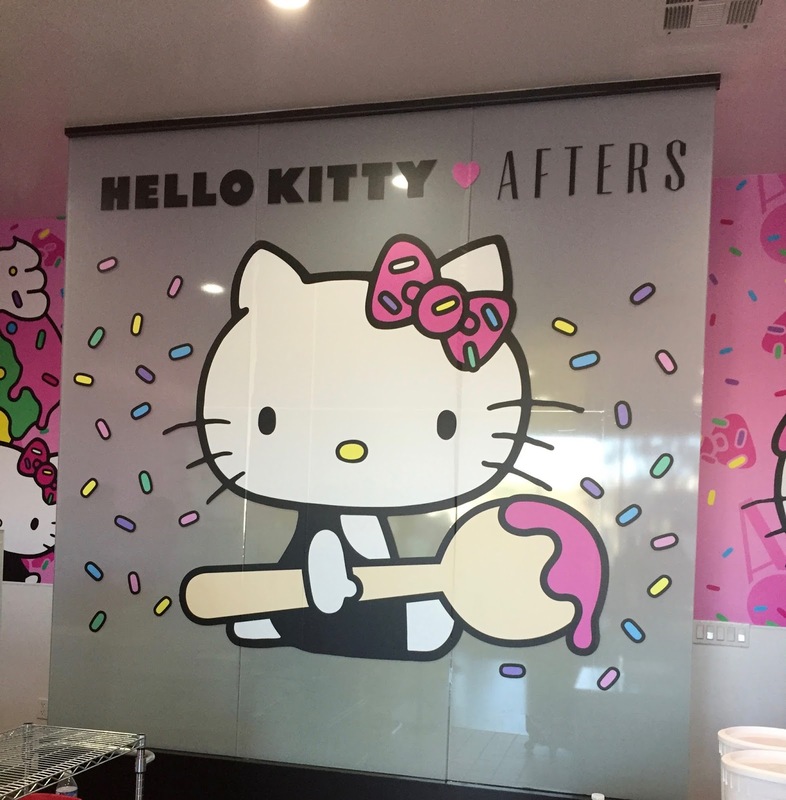 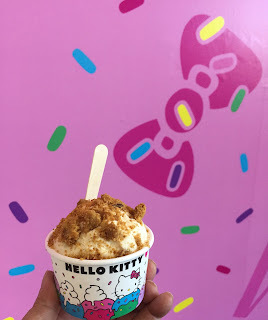 Hello Kitty and Afters Ice Cream - Limited Time! 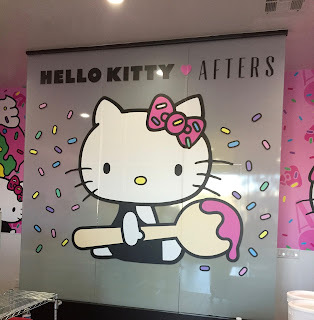 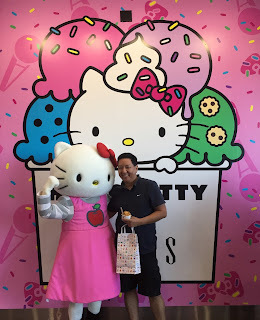 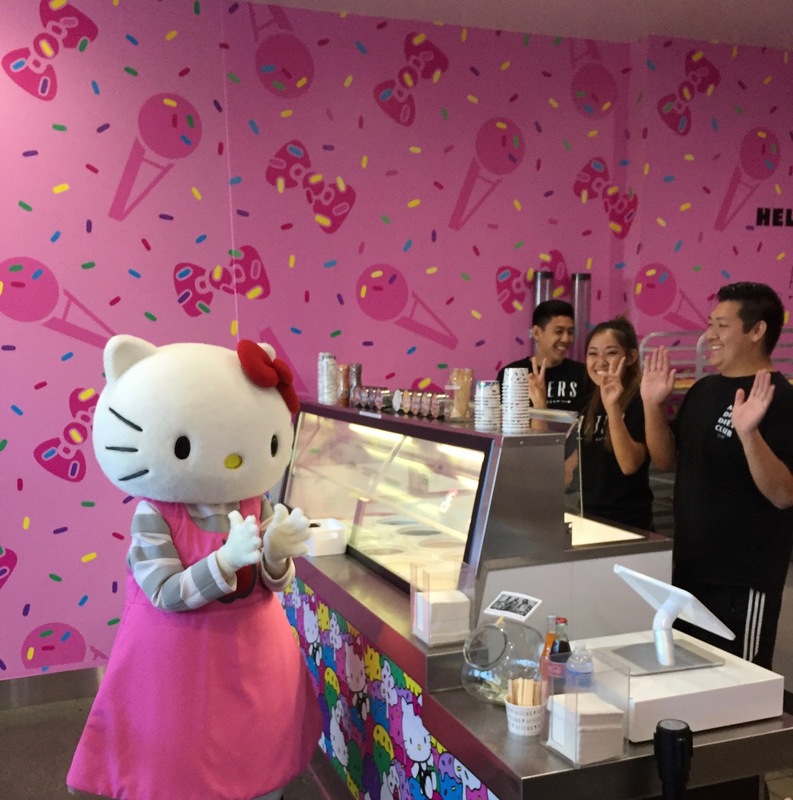 a Hello Kitty and Afters Ice Cream collaboration begins! I wonder if Hello Kitty orders the milky bun too??? Hello Kitty waits in line, just like everyone else. "Mama's Apple Pie" and "Yummy Strawberry Cake"
I chose "Mama's Apple Pie"
Cool Hello Kitty/Afters Ice Cream merchandise too. 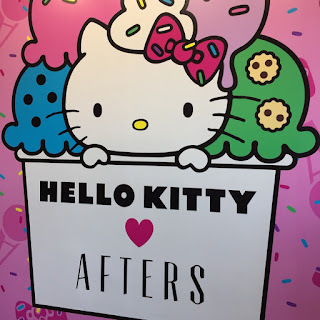 of the Hello Kitty graphics (as seen here). 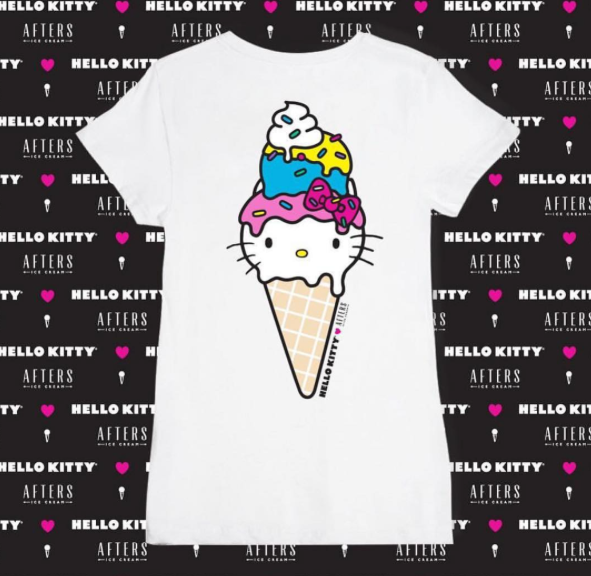 Hello Kitty X Afters T-shirt.